The rise in rent reportedly comes as a result of would-be home buyers who are choosing to rent instead of purchasing. They're waiting because they believe purchase prices, which are already on the decline, have yet to bottom. 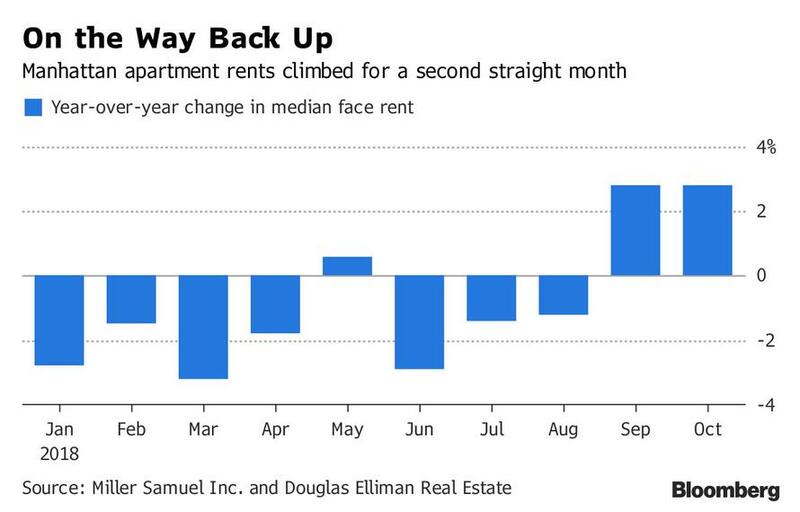 The resulting rising rental demand has allowed landlords to charge more, boosting the median face rent to $3,495. In addition, renters are getting access to luxurious amenities like free months' rent, gym memberships and payment of brokers fees. These types of perks were offered on 41% of new leases, according to Bloomberg. Buyers on the other hand, have been faced with sellers who have been reluctant to drop their prices resulting in a sharp decline in transactions. At some point, something will have to give - either sellers will eventually drop prices enough to entice demand or renters will be priced out of the market. Meanwhile, the picture for Manhattan's real estate market remains gloomy. 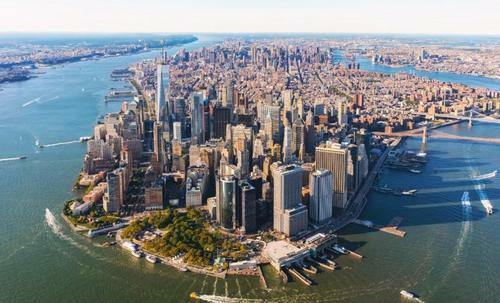 In mid-October, we wrote an article asking whether or not the NYC luxury real estate market was on the verge of collapse, pointing out that the number of unsold homes has plunged by 40% through September compared with the first nine months of 2017. Prior to that, in late September, we also pointed out that NYC home sellers had slashed prices on almost 800 listings during a single week during the month, the largest wave of discounts in at least 12 years. More recently we discussed why renting – sometimes for up to $10,000 a month - seemed like a safer option than purchasing.